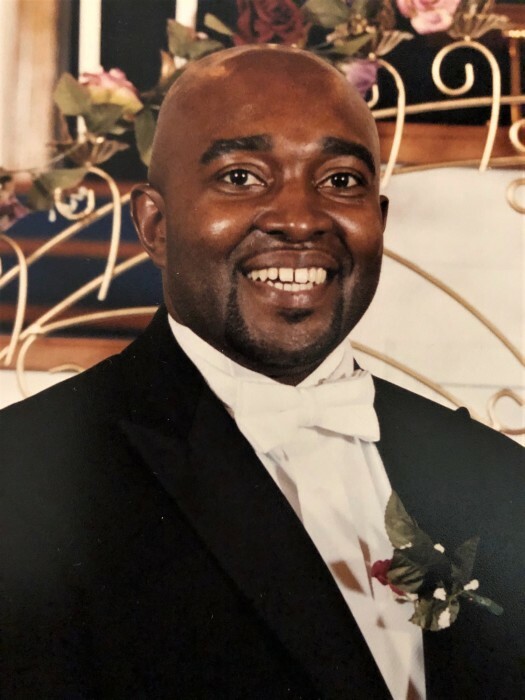 Benjamin F. Gayle, Jr. was born on May 17, 1968 to Beatrice Jones and Benjamin Gayle Sr. He departed this earthly life to gain eternal life with Christ on December 30, 2018. He accepted Christ at an early age and joined the Shiloh Baptist Church, Marion Junction, Alabama. For the love of his country, Benjamin committed ten years of his life serving proudly as a Petty Officer 2nd Class in the United States Navy with distinction and honor! Benjamin was preceded in death by his Dad, Benjamin Gayle, Sr. and father-in law, Tommy Lee Callens. Those who rejoice in the celebration of his life and cherish his memory are his wife, Lisa C. Gayle; son, Dalandon (LaQuenette) Callens; daughter Amber Scott; Mother,Beatrice Jones; four sisters Carol Jones (Jerome) Smith, Valerie Purdie (Alonzo) Williams, Barbara Gayle, Yolanda Lynette Craig; two brothers, Lamar Craig, James (Tiffany) Morgan; Mother-in-law, Jerrie D.Callens; Sister -in- laws Daisy (Eddie) Williams, Beverly Roberts, Monita (Christopher) Mitchell; Bother -in-laws Michael (Cassandra) Callens, James (Erica) Cook; two grandchildren, Dashawn Callens, Kaleb Callens; host of aunts, uncles, nieces, nephews cousins and devoted friends.